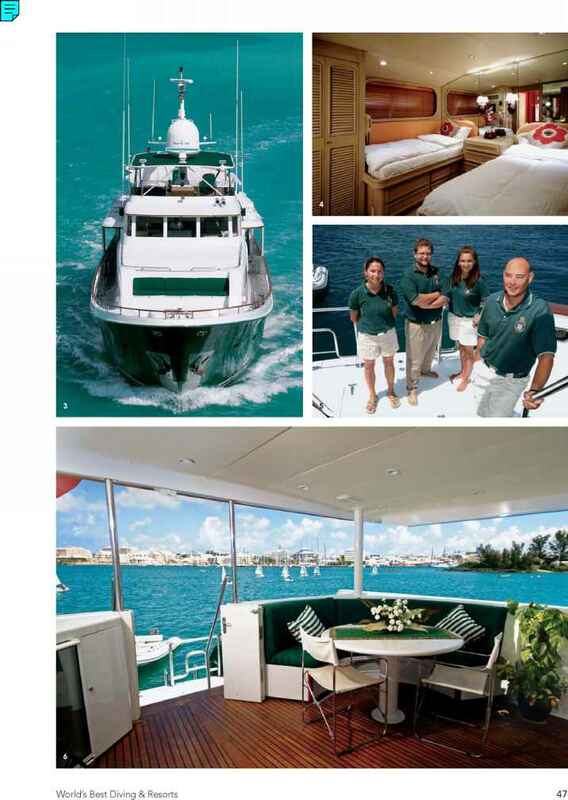 Bermuda IV, Bermuda's only live-aboard yacht, takes the concept of live-aboard diving charters to a new level. 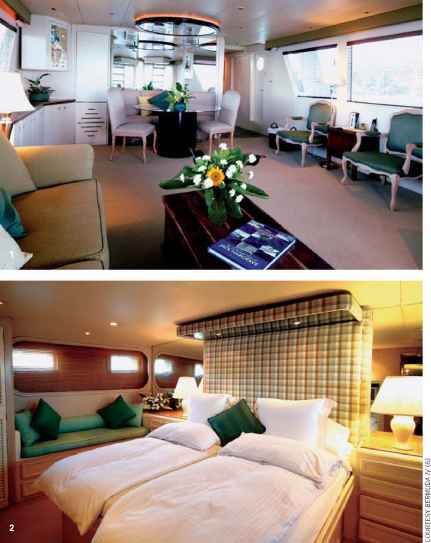 Spacious and elegant, Bermuda IV is at home cruising in the beautifully clear, warm waters for which Bermuda is famous. Owned and skippered by Captain Mike, a Bermu-dian, Bermuda IVs experienced crew focuses on giving guests first-class and friendly service. From the first sip of champagne at the welcome reception to the last handshake before leaving the ship five days later, guests will be pampered throughout their cruise. Bermuda IV is a 96-foot J. Hargrave designed by Cheoy Lee and fitted with state-of-the-art navigational equipment, first-aid and safety equipment, stabilizers and a small tender for exploring nearby islands. Lounge areas and staterooms are climate-controlled and are equipped with TV and entertainment units. The dive deck is fitted with new individual tank stations, seat storage and racks for wetsuits and fins, a carpeted camera station and a hot/cold shower. The en-suite master stateroom has a king-size bed; the port-side and starboard-side cabins each have two twin beds, large cedar closets and separate, well-appointed bathrooms. A variety of toiletries and hair dryers are available in each beautifully decorated bathroom. Gourmet-style meals prepared by the chef are presented each day on the informal and attractive back deck, where the freshness of the early morning breeze or the romantic stillness of the moon rising over quiet evening waters can be enjoyed. Snacks, chilled beverages and warm, fresh towels are available throughout the day. The sub-tropical island of Bermuda is proud of its healthy coral reefs, its friendly people and its reputation as a clean and safe destination. Three hundred shipwrecks spanning five centuries surround the beautiful coral island which is only a two-hour flight from most U.S. east-coast gateway cities. 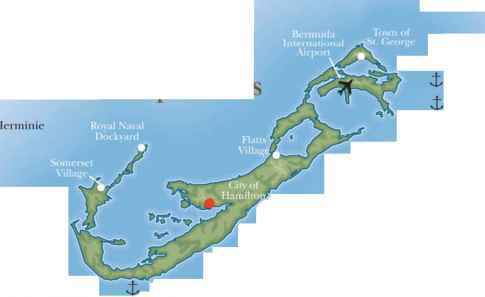 Up to 20 of the most popular shipwrecks are accessible from Bermuda IV. 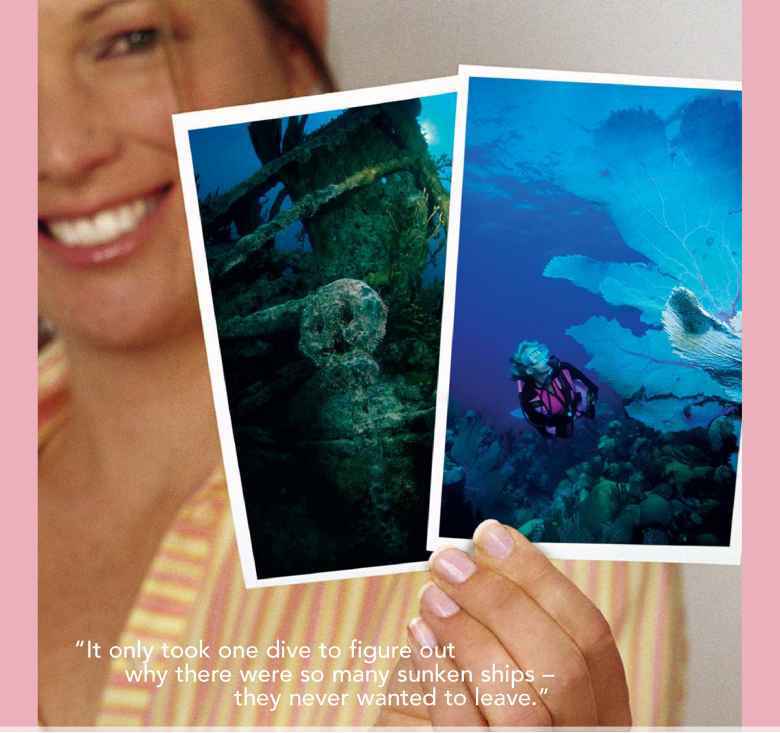 As a memento of diving on any of these special wrecks, guests will receive a Bermuda Shipwreck Certificate. 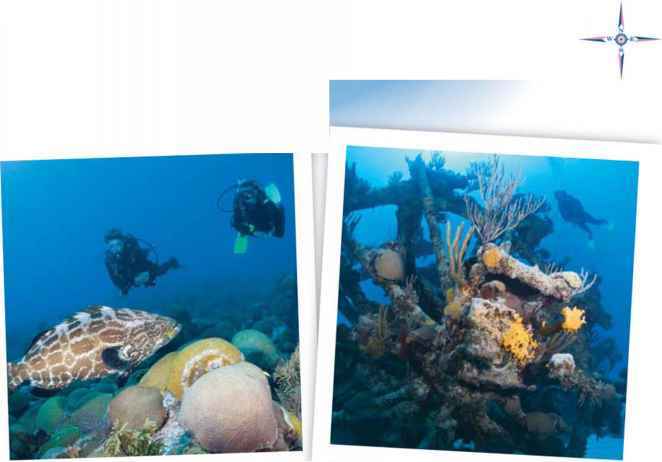 On-shore excursions to special places of interest are also part of the Bermuda IVexperience: visit the Bermuda Underwater Exploration Institute, home of Teddy Tucker's famous treasure; the Bermuda Maritime Museum located in the heart of the 19th Century Royal Naval Dockyard; or the historic town of St. George's, now a World Heritage Site. Bermuda IV represents the most comfortable and the most affordable way to enjoy the exquisite underwater resources of this wonderful island. Come to Bermuda, dive our best wrecks and you'll earn our Bermuda Shipwreck Certificates. Select Bermuda dive operators, in cooperation with the Bermuda Department of Tourism, offer a set of 20 artistically designed certificates printed on parchment paper, suitable for framing. Each free certificate documents your dive and provides a brief history of the wreck. As if Bermuda wasn't amazing enough above sea level, what's underneath the waves is even more thrilling. With hundreds of wrecks to explore and 650 species of marine life to marvel at, Bermuda truly is a unique paradise for divers. Just under two hours from the East Coast, you can spend even more of your precious vacation time under the water, instead of up in the air.